Our 70’ Obstacle Course (70Lx11Wx16H) combines an amazing Obstacle Game with an exciting 16’ Rock Climb Slide. Children have a great time running through the tunnels, barriers and hurdles, and then up the rock wall and down the slide, as they race one another to the finish line. 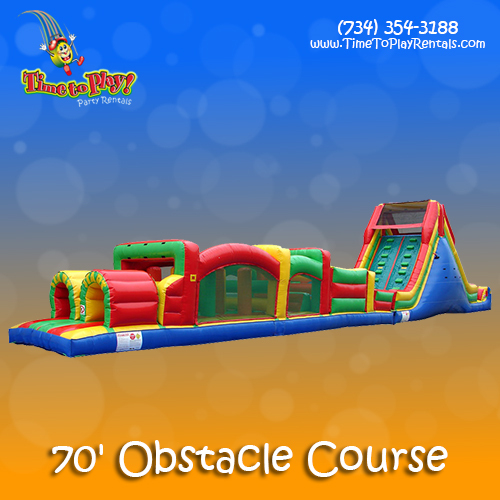 This 70' Obstacle Course is a hit with kids of all ages – they never tire of running all the way through and then around again!